Adventures at Picard produced little lobsters from America(7,95)! Nice try Picard. Give me a Maine lobster onsite anyday. Picard's escargot (2,95€) on the other hand are excellent. Nice butter sauce with plenty of garlic. I can highly recommend if you're a fan. 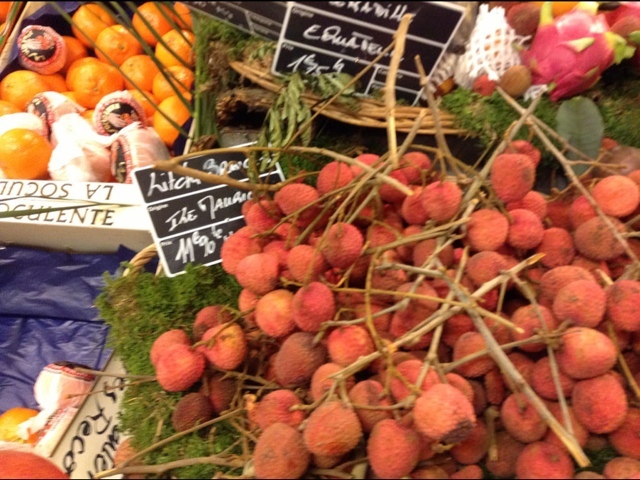 The French Love exotic fruits for the holidays. Every year I attack the litchis. They are 4€ a kilo bought off the branch. 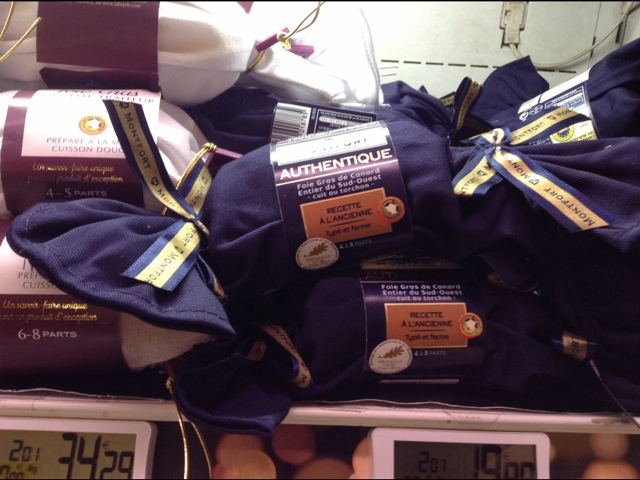 Foie gras tastings even at Monoprix and darn good. 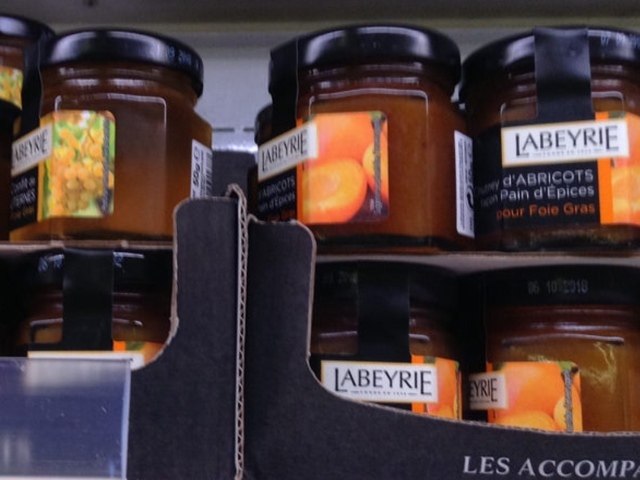 Why ever did I buy just this tiny jar of abricot/pain d'epice chutney (2,95) to go on top the foie gras? Gone in an instant. 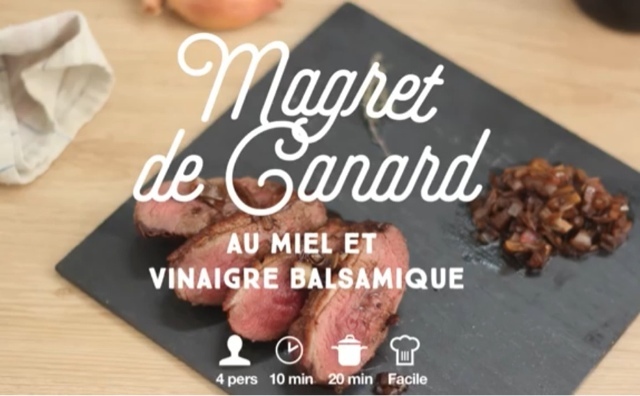 A terrific, easy recipe for duck breast (magret de canard)..the perfect Christmas dinner in my opinion if you're in France where magret is abundant. 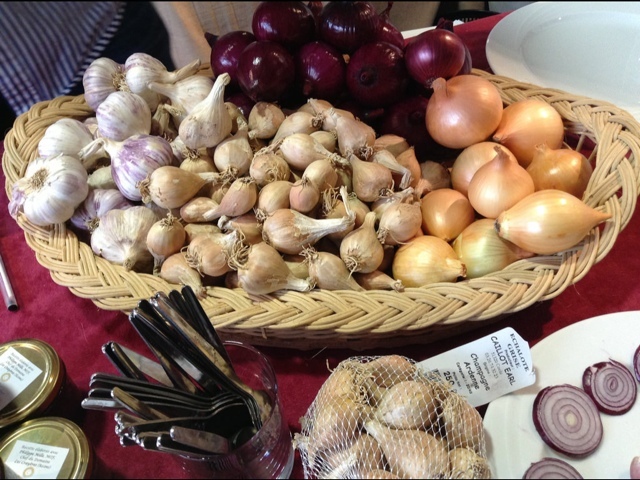 Fancy grey shallots from the Coqs d'or salon were on hand. But balsamic vinegar was not, so I used vinaigrette packets saved from salads in the fridge. I also blotted off some of the excess duck fat. Otherwise I followed the recipe to the letter. 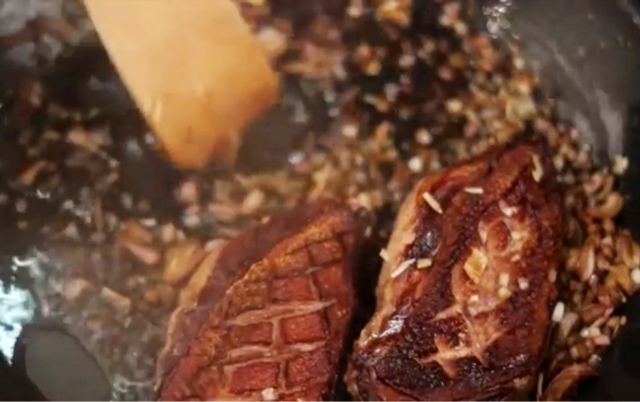 The minced shallots came out perfectly caramelized and crunchy. Tout va bien. 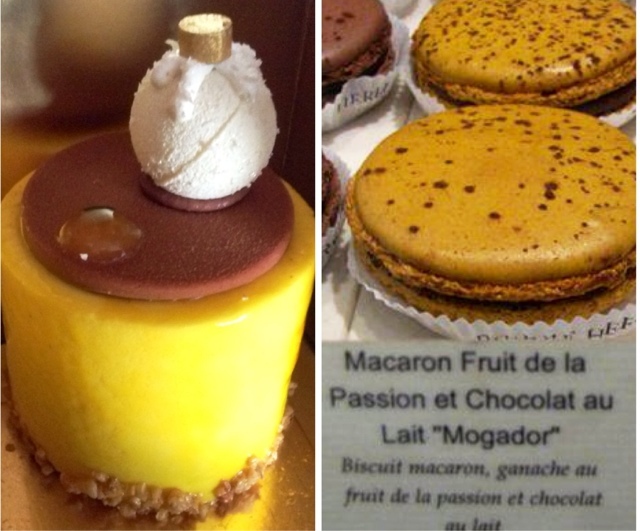 I've been dying to try La Grande Epicerie's gateaux de Noel of passion fruit and caramel (7€). The caramel was too sweet and overpowered the passion fruit. Verdict: save your € and get 3 Pierre Herme Mogador passion fruit macarons instead. 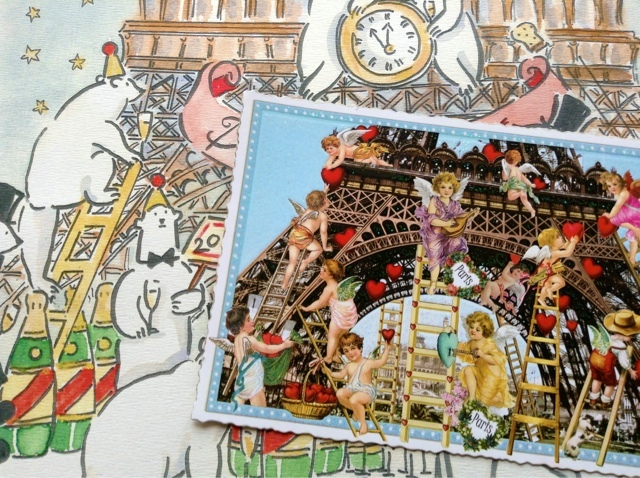 Bears of Paris and Strasbourg have taken over Parisbreakfast HQ. My print shop announced they were closing for the holidays until January 4th. 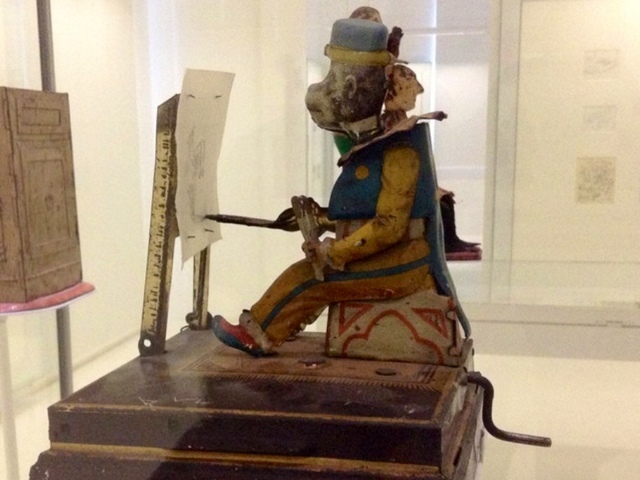 I had to work like this wind-up painting monkey from the Tomi Ungerer museum through Christmas with breaks for luxury food. See above. 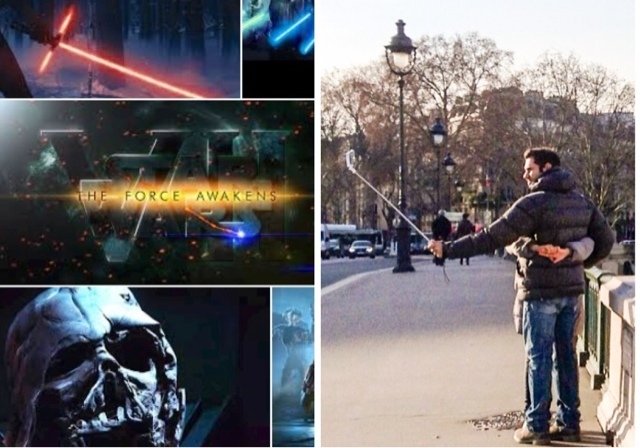 Pas mal. Did you see this viral drawing by Dudolf? 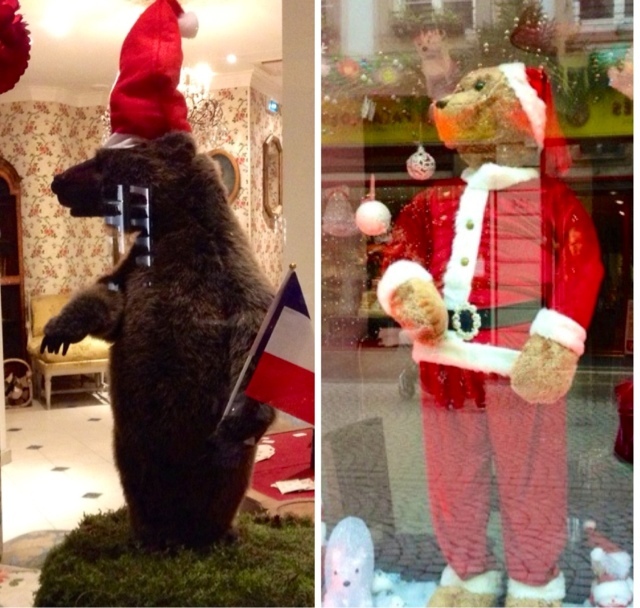 Bears stepping out in Paris. I found a postcard in August and decided it would be perfect for the January Sketch letter. Just turn the cupids into snowmen. But bears won the day. 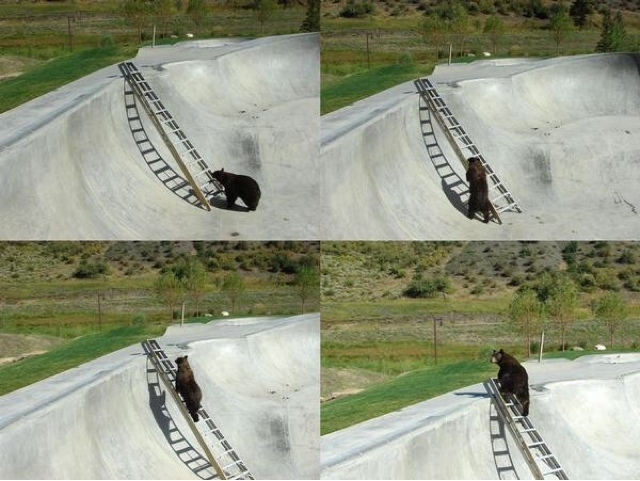 Especially when a ladder-climbing bear showed up on Google. 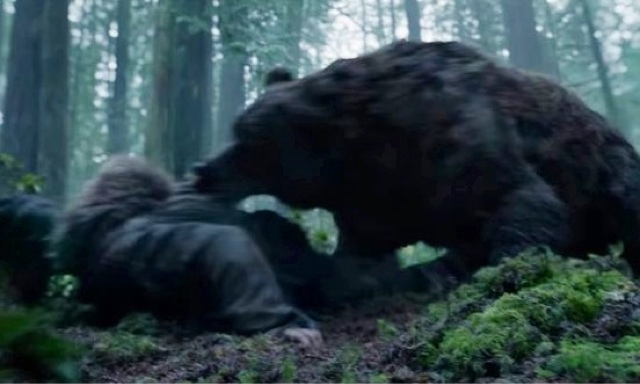 No attack bears from The Revenant were invited to my New Years bear party. 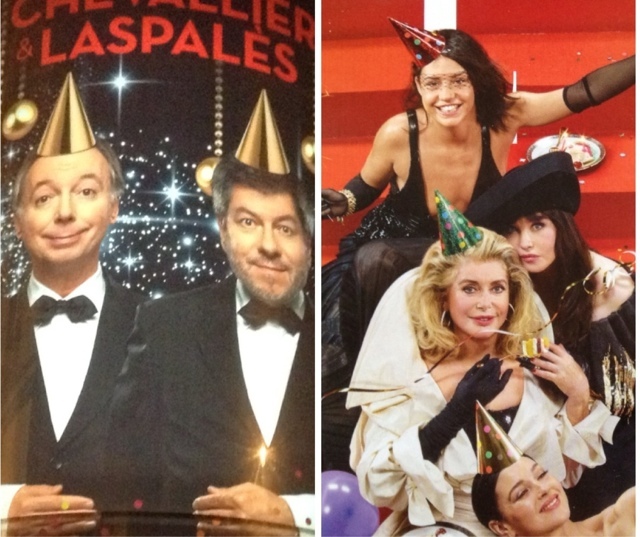 Party hats? Yes for girl bears. Thank you Elle Magazine. 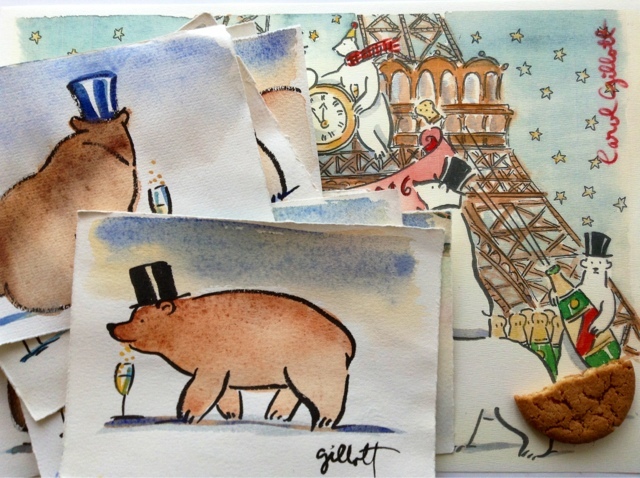 And plenty of bonus bear watercolors for any new subscribers and those owed their renewal watercolor. 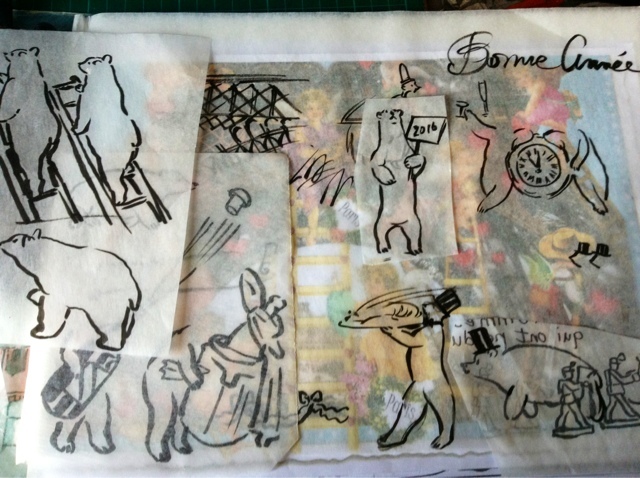 You can see the full Sketch Letter on Etsy. January Sketch letters are all mailed out. 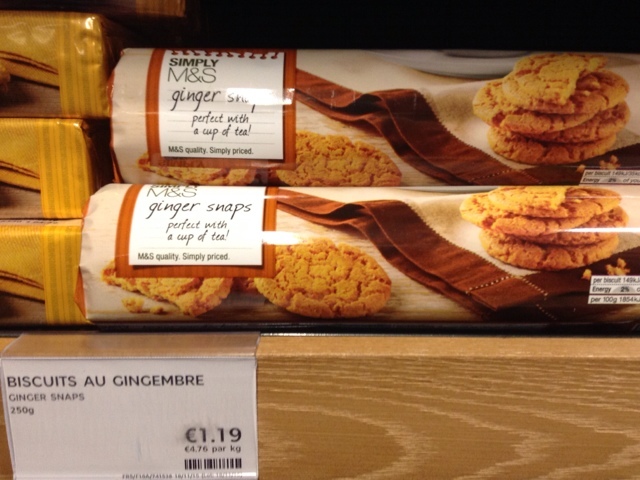 And yes I found gingersnaps in Paris at Marks and Spencer's. 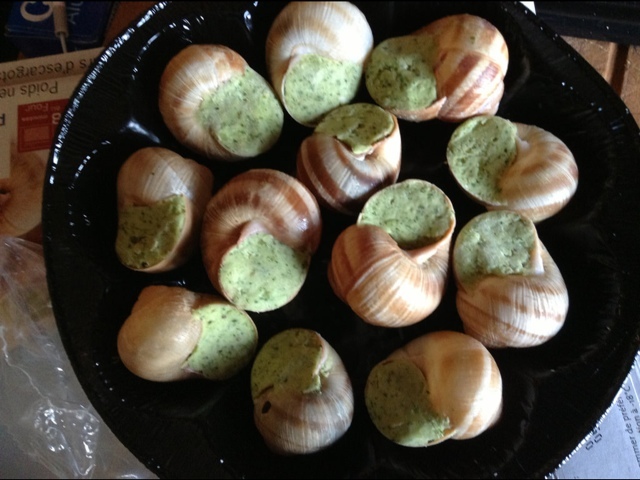 All those escargot for 2,95 e? You must have had more than one package. Oh, they look to die for! It all looks such fun and filled with such cheer, Carol! 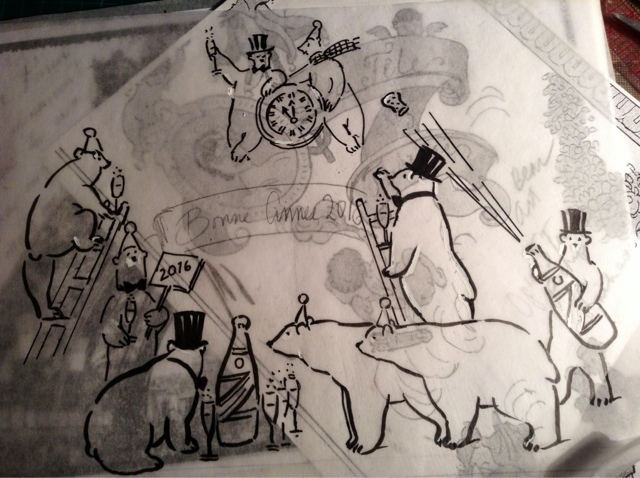 And all those bears!Can't wait for the sketch letter! (Loved December's!) Meanwhile, have a wonderful new year! But of course a dozen for 3€! They had 50 for 15€ and bigger size but I controled myself. 10 minutes in the over et voila. Love,love,love it. I am starting to obsess about bears.. And of course the food. Have a wonderful New Year Carol. That Catherine..ageless..your architectural details on la tour are just perfect. I'll try again! I have a bear eating apples in my "back forty" every summer. This video was taken by my hubby's game camera. I hope the link works. I have over the years learned not to be too alarmed by the bears. I love your posts, Carol. So pretty and so much to enjoy! I would love to have those escargot & especially at that price and duck is my favorite - yours looks delicious. Glad you found the ginger snaps - they do help complete Christmas. 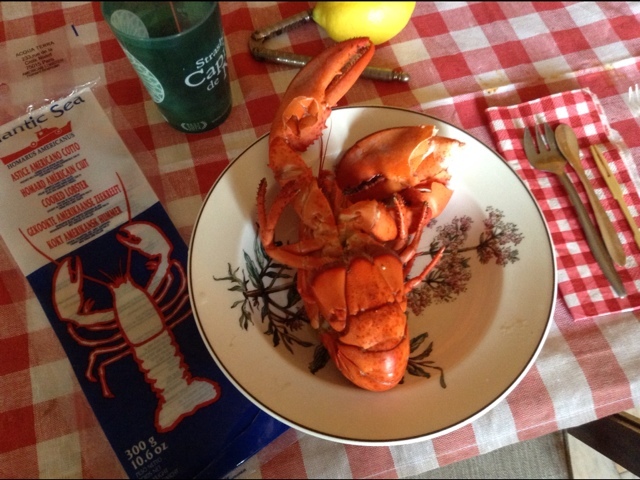 Maine lobster is definitely preferable to all others. Happy New Year, Carol. 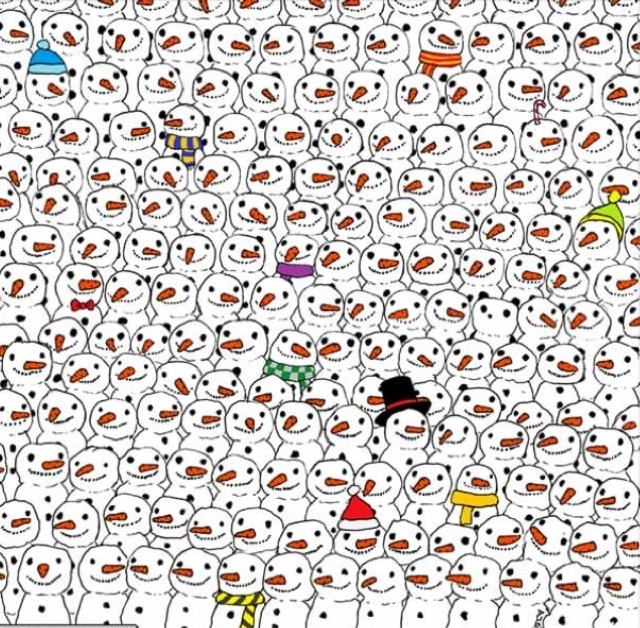 Finally, I found the Panda! Do you miss turkey very much? I have really enjoyed your festive pictures of lights, decorations and of course all the sweet goodies. I hope Santa was good to all. Enjoy the rest of the holidays and Avery Happy New Year to you as well. Turkey breast is easy to get here though no chestnut stuffing or gravy...or CRANBERRY SAUCE!! 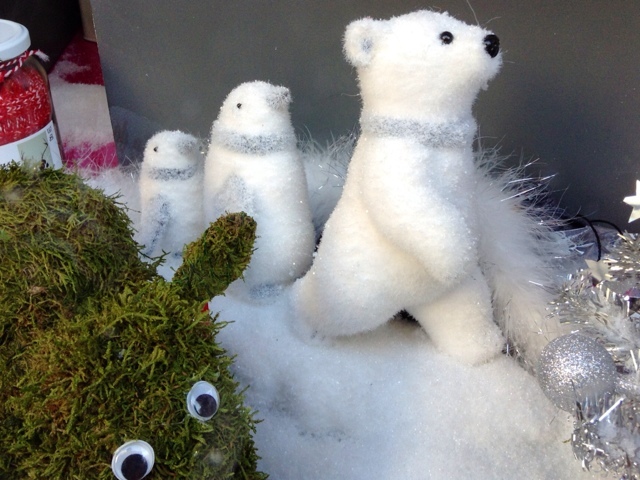 The "Carol" bears are magnifique! Happy New Year and thank you for your wonderful blog. Litchees! Thank you for the reminder....I'm heading to my Asian grocer just as soon as the snow stops! And a very big merci for saving me from La Grande Epicerie's passion fruit cake... it sure looks good, but I am taking your word for it and getting the macs. I got the HP Mogador macs yesterday for a reality check. Def way better combo of milk chocolate and Passion fruit and only 2,10 euros each. (The macaron price has not gone up in a long time!!). I haven't eaten litchis since I was a kid - a real treat. Fabulous, Carol, lots and lots of fun bears! I love the lobster & duck, too. Happy bears! Happy ginger Snaps! Happy New Year!